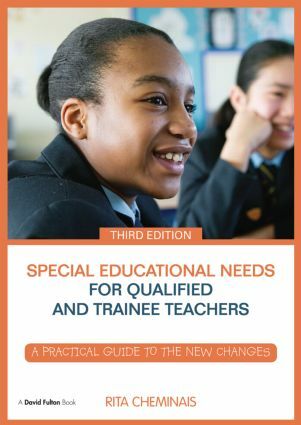 This completely revised and updated edition, previously published as Special Educational Needs for NQTs and TAs, addresses the latest Teachers’ Standards, and their application in meeting the most recent developments and changes in the special educational needs system and the new SEN Code of Practice. Essential reading and an invaluable guide for all qualified, newly qualified and trainee teachers, this highly practical text relates to those accessing SEN training via teaching school alliances, as well as Higher Education. Featuring useful checklists, templates and photocopiable, downloadable resources to support professional development in SEN, this practical resource contains a wealth of valuable advice, in addition to signposting to further information. This no-nonsense, down-to-earth authoritative text will provide essential reading for all experienced qualified, newly qualified and trainee teachers, as well as to those delivering SEND training in Higher Education, local authorities, and in teaching schools and their alliances. Rita Cheminais is a freelance education consultant, author and national speaker.